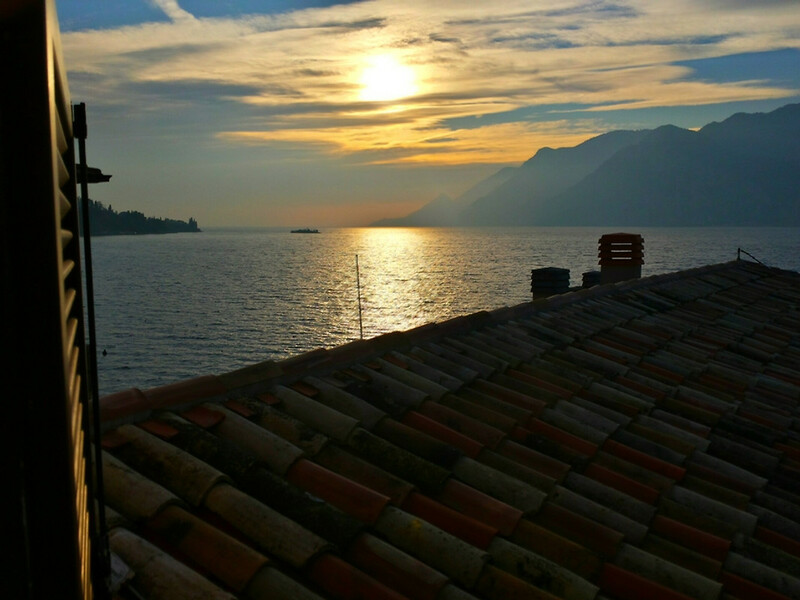 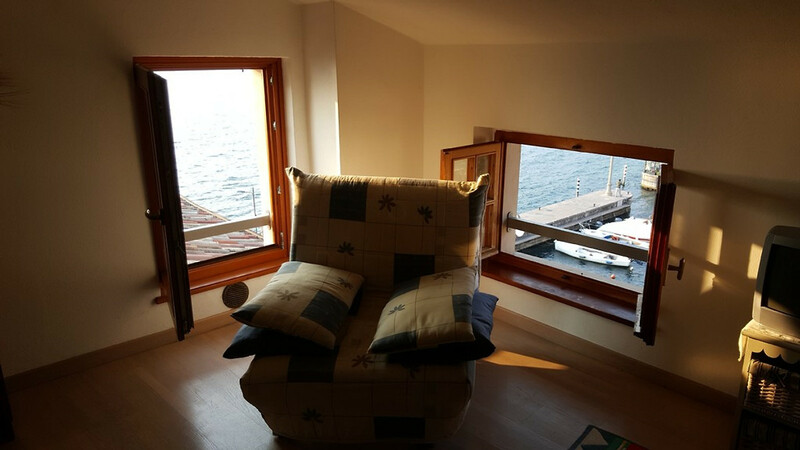 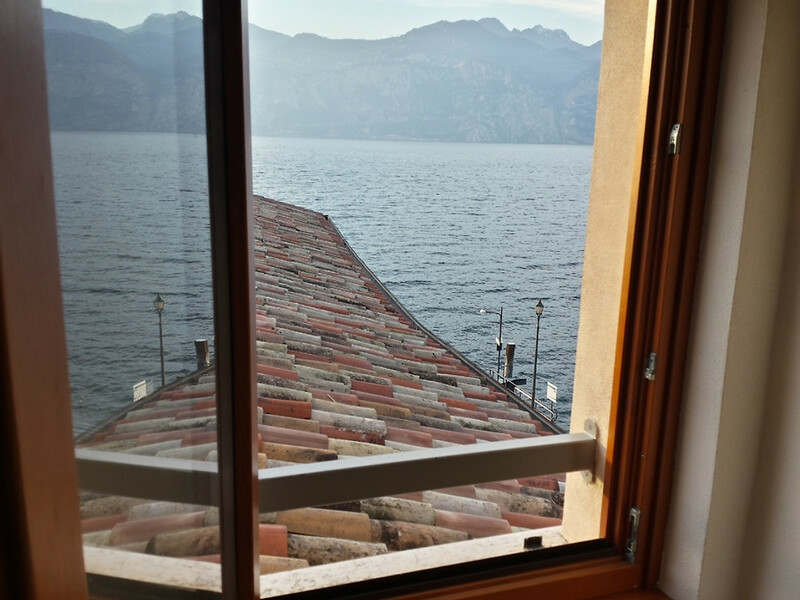 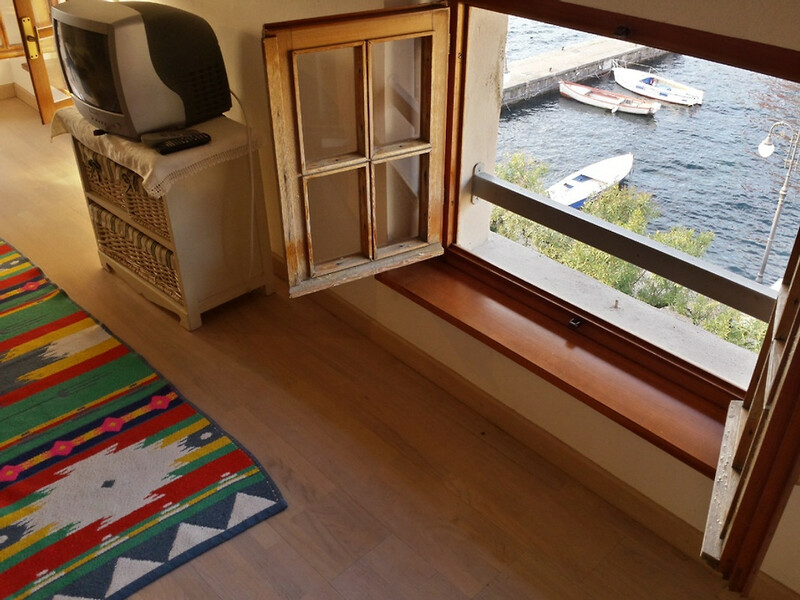 Attic on the port of Malcesine, with modern furniture and five windows overlooking the lake, the port and the castle. 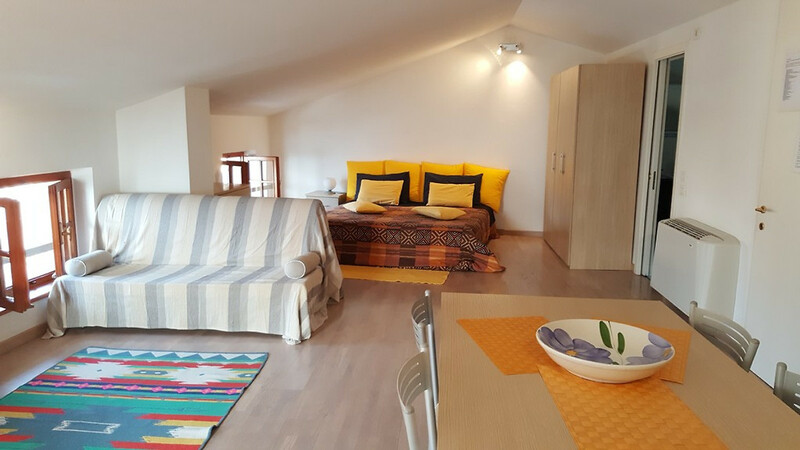 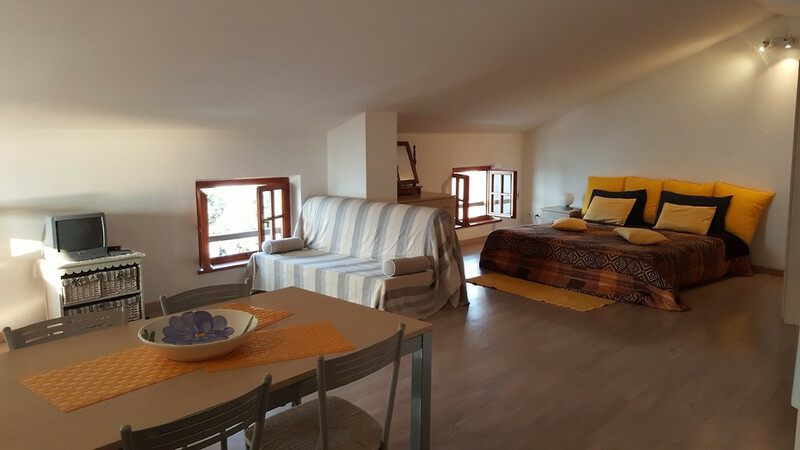 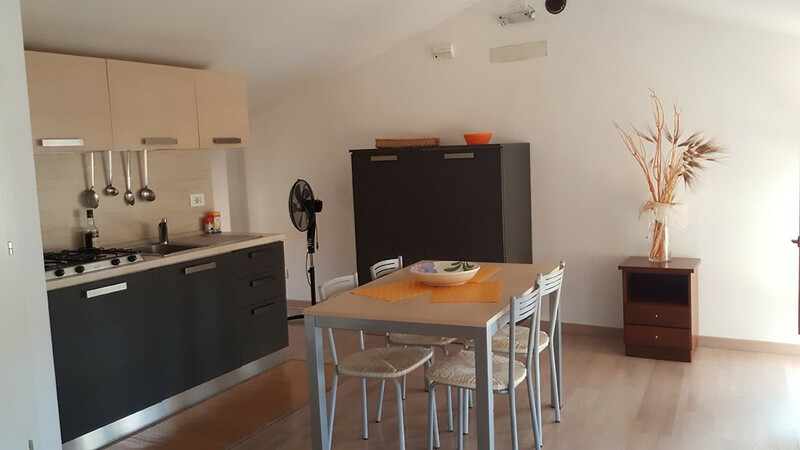 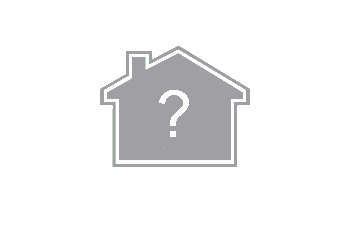 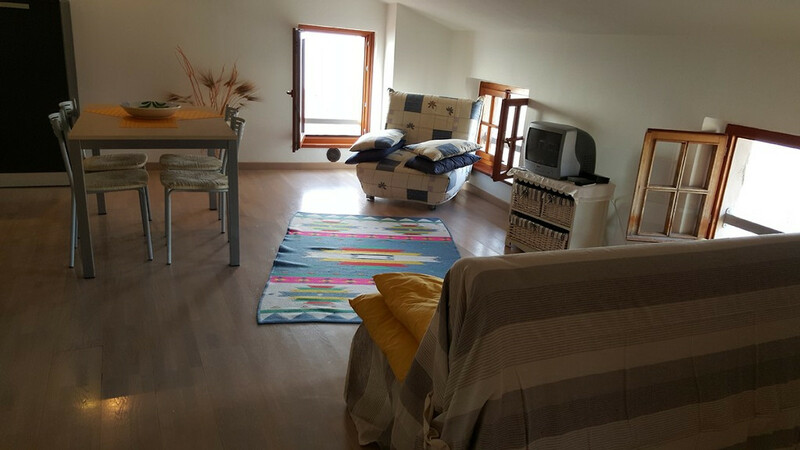 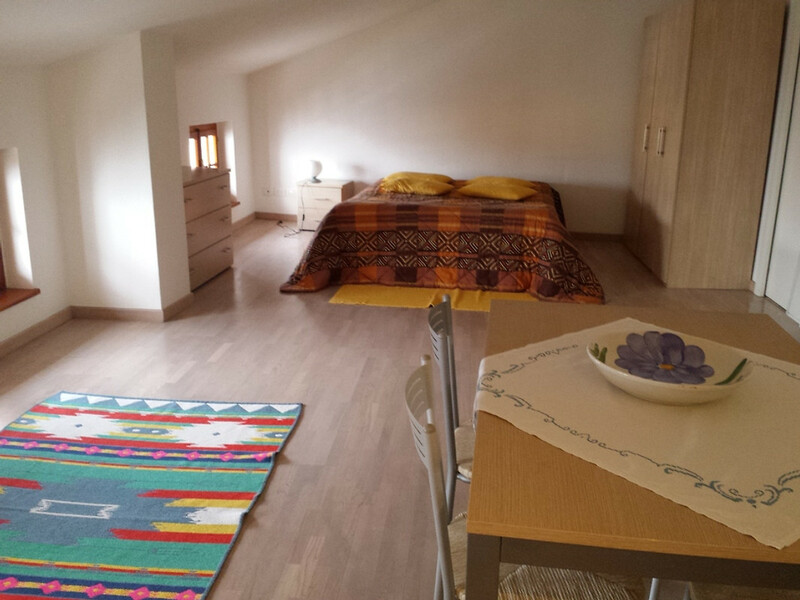 Attic studio with open-plan space, the kitchen area is equipped with a stove, refrigerator, cutlery and table, there is a sofa, an armchair and a satellite TV with satellite channels. 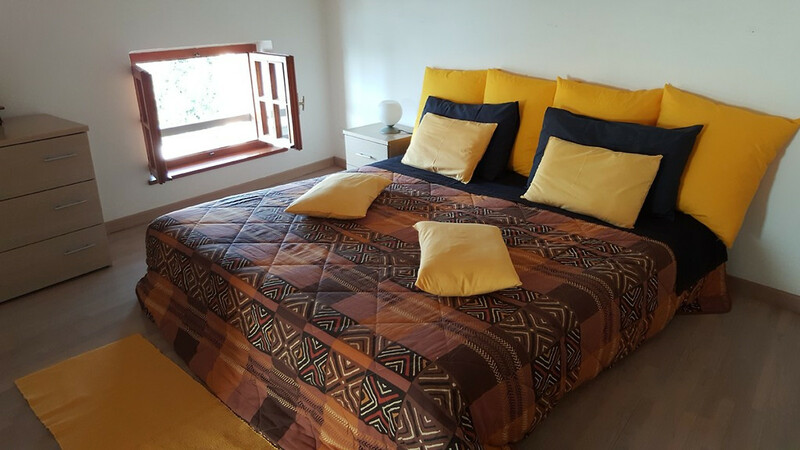 The sleeping area has a double bed and a wardrobe. 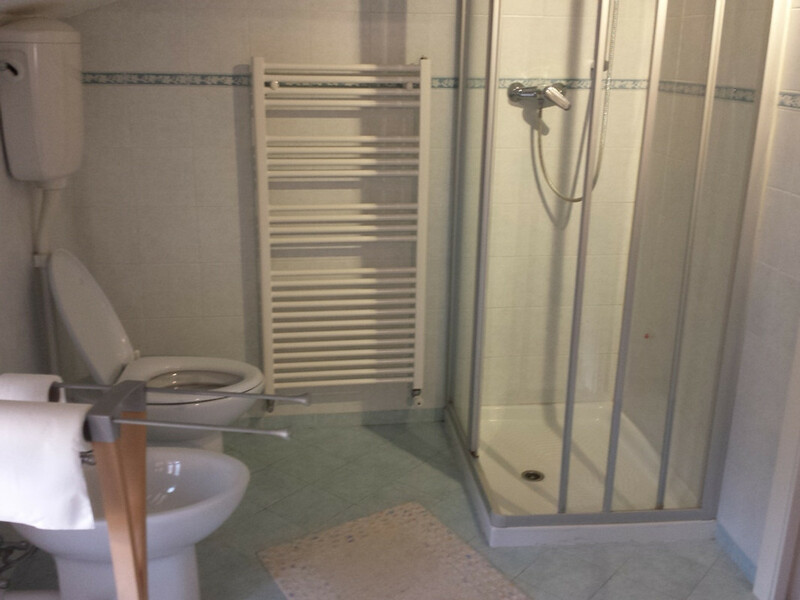 Bathroom with sink, toilet, bidet, shower and washing machine. 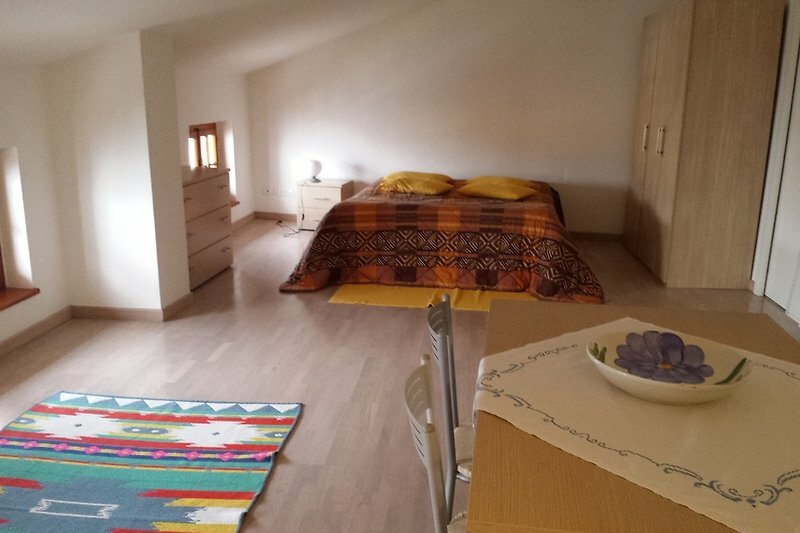 Free Wi-Fi and parking at the public parking "Campogrande" 200 meters away. 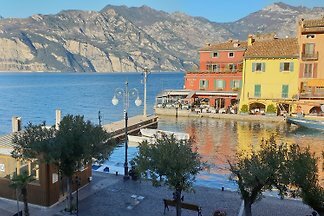 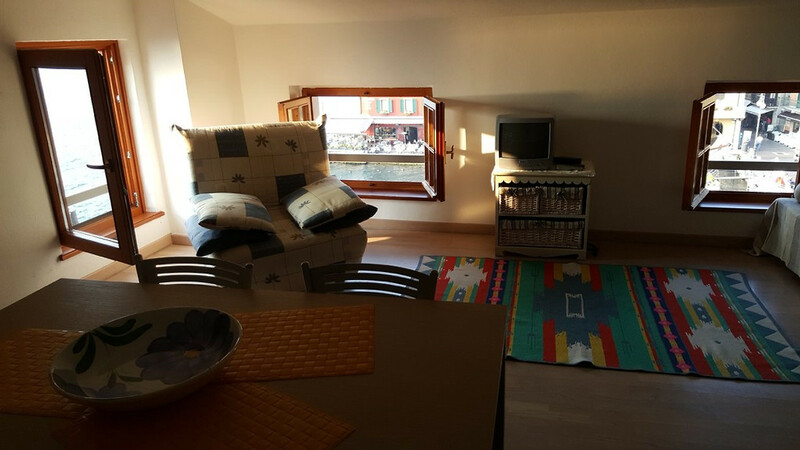 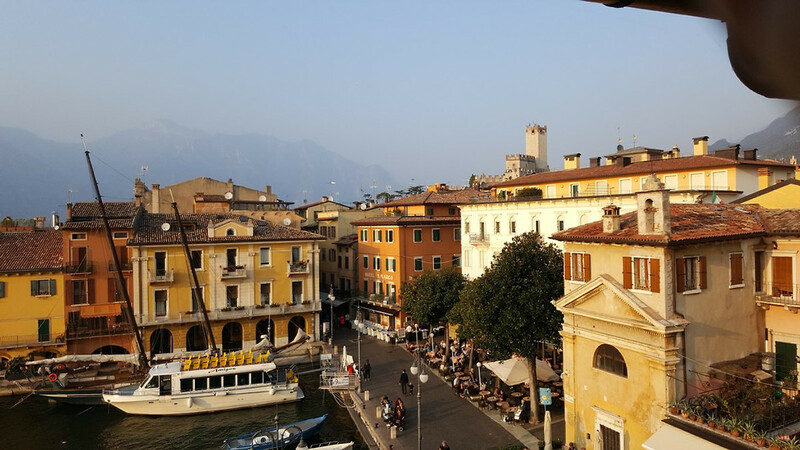 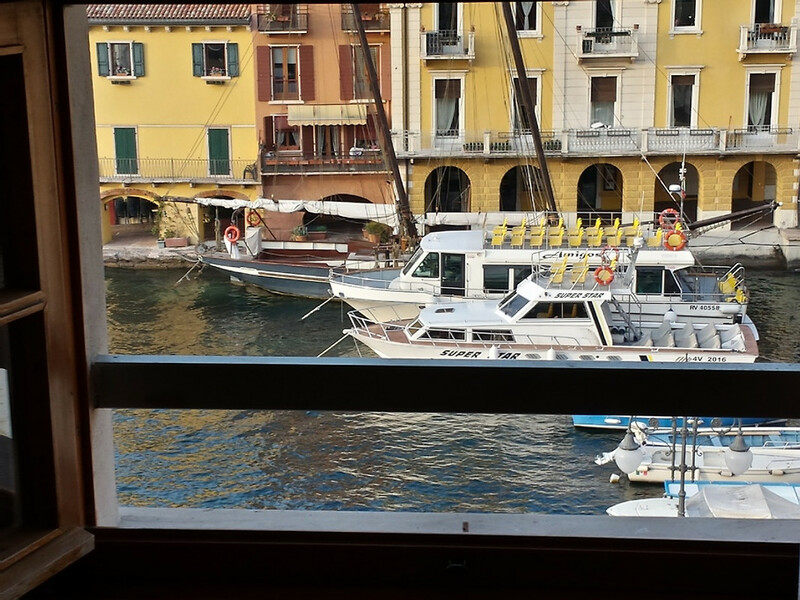 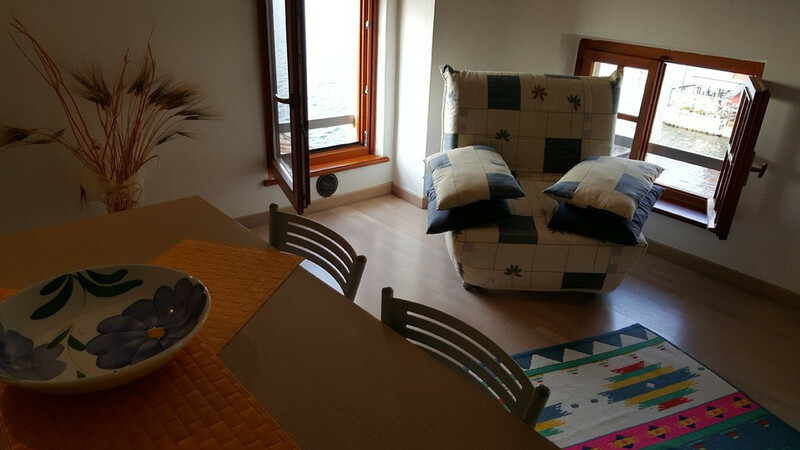 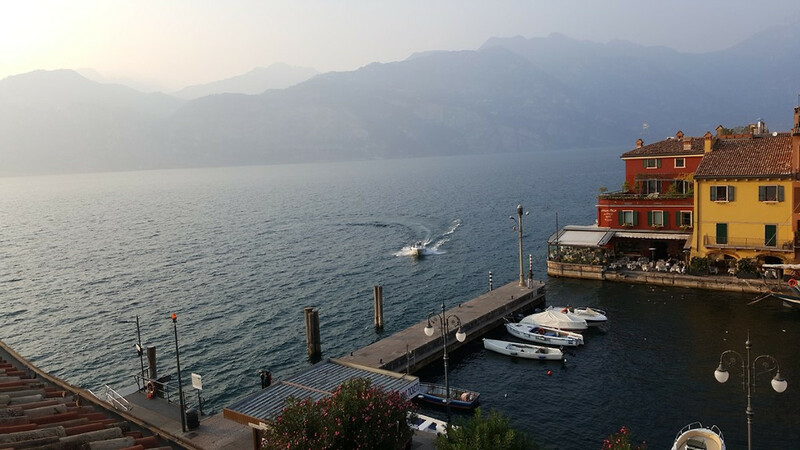 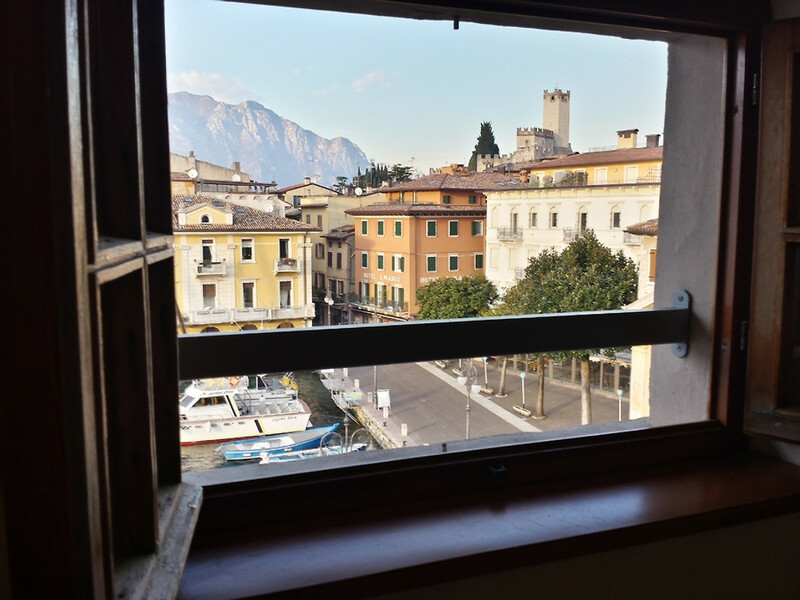 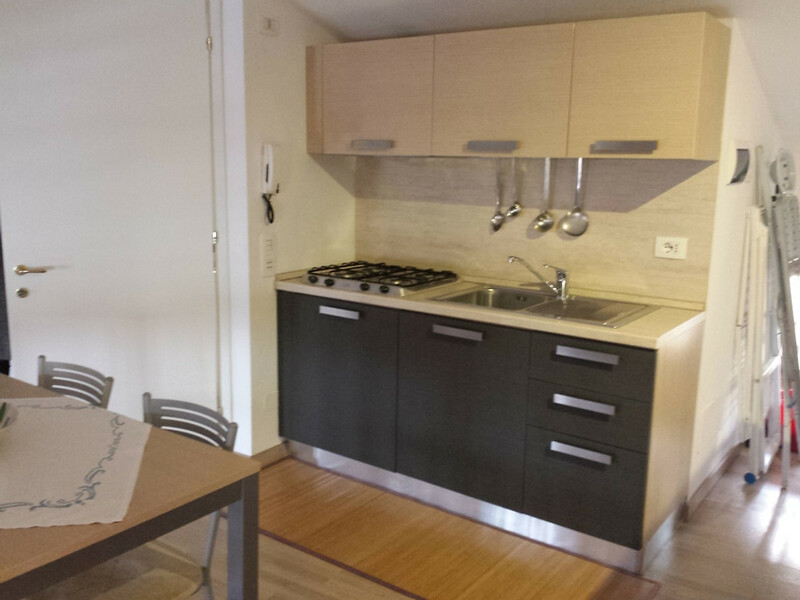 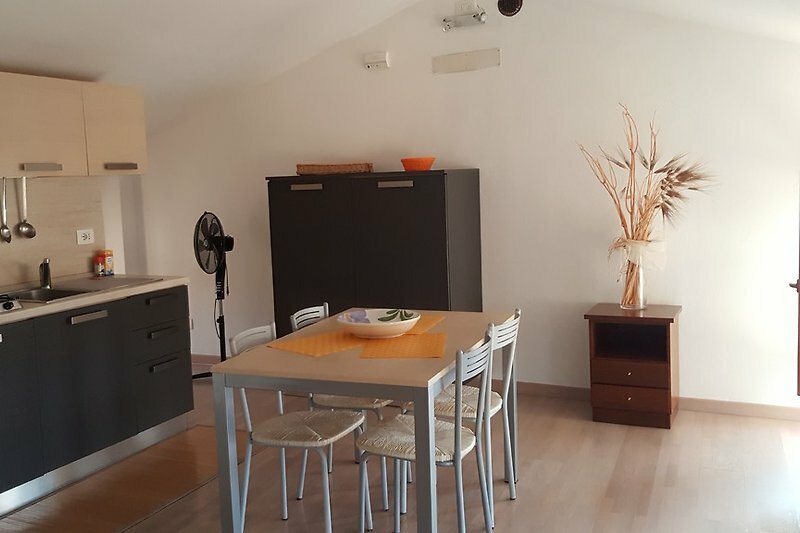 Located on the fourth floor of a historic building in the heart of Malcesine, directly on the harbor, within walking distance of shops, restaurants, bars and major attractions such as the Scaliger Castle and the cable car. 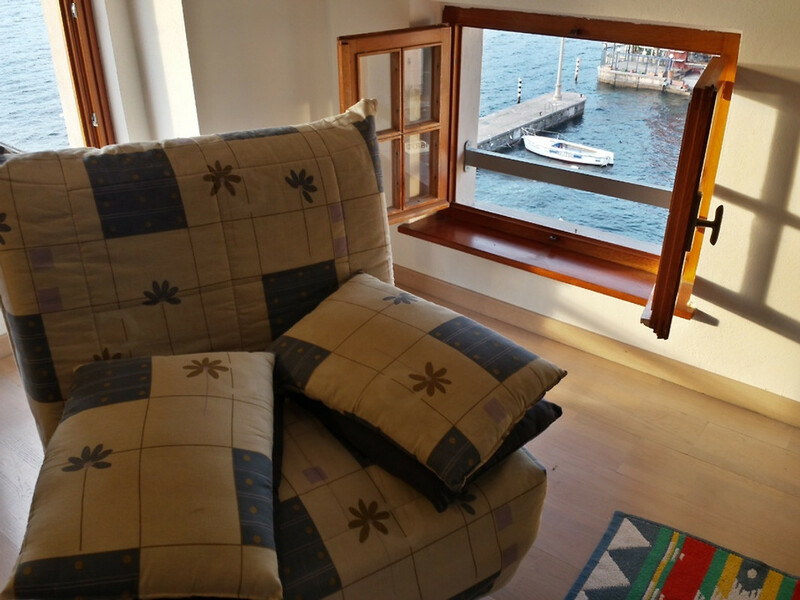 Ideal for young couples and romantic vacation or honeymoon. 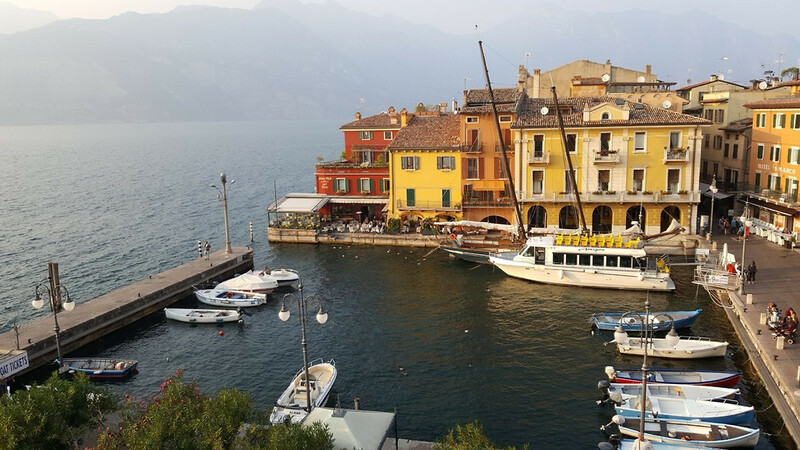 My name is Silvia, I am 30 years old, I live in Malcesine with my family, I have a degree in languages ​​and I have been working in the tourism sector for 10 years. 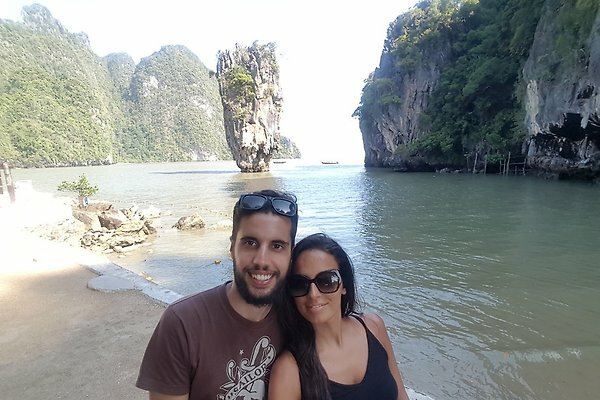 I speak English, German, French, Spanish and I love traveling.